Monroe Advanced Baseball ("MAB") organizes teams to play on the Major League regulation (60/90) field offering recreational teams in the spring and fall. 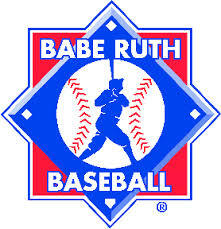 For 2018, teams will be chartered under the Babe Ruth Baseball organization. For the spring season, MAB will offer to team options. There will be a 13-Prep team which will only consist of players who are age 13 (see age chart). Babe Ruth League introduced this prep league-comprised of teams with only 13-year-old players-to foster more participation in the game for this age group. This league offers the 13-year-old player the assurance to play without age intimidation and the chance to participate in the 13-Year-Old World Series. There will also be 15U team for players who are ages 13-15 (see age chart). Founded in 1951, Babe Ruth Baseball League was created for ballplayers ages 13-15 who wished to continue their baseball playing experience beyond the age of 12. In this division, teams are eligible to enter tournament competition and move along the tournament trail, culminating in a World Series. Parents of players who are age 13 have the option of registering their child for either on the teams but should take into consideration the older age of players the would comprise the U15 team. Information regarding summer and fall programs will be provided at a future date.